Villareal’s 1-0 win against Elche at the Estadio Martinez Valero brought to an end to a run of at least one game every day in the last 11 days in El Primera Division. Spanish football fans finally have a few days of rest after all the frenzy and excitement from the various centres. 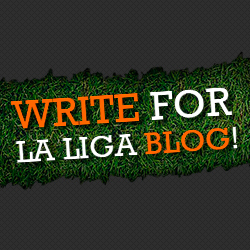 For us at La liga blog, it’s an opportunity for us to once again reel out our unique Team of the Round, recognizing and honouring those who have covered themselves in glory. In goal for our Team of the week, is Granada goalkeeper Roberto who had a game to remember away at Levante as his side sealed a valuable 3 points on their travels. The Spanish goalkeeper barely put a foot wrong all match, winning all his aerial duels as well as making 7 crucial saves-including one from an El Zhar penalty early in the game to keep his side in the match as they fought to seal all three points. We stick with a three-man defence, with Barcelona’s Dani Alves grabbing a slot after his performance in the Catalan derby against city rivals Espanyol. The Brazilian defender was always involved offensively and defensively, making a total of 123 touches on the night, a stat only bettered by midfield maestro Xavi. The former Sevilla man had a total 4 tackles, and was only denied a goal by the woodwork, as he put up an all-round display. Joining Dani Alves at the back is Atletico Madrid defender Diego Godin who was a rock in defence for second placed Atleti as they kept a clean sheet against Athletic Bilbao. Rounding up the defence line is Real Sociedad’s promising centre-back Inigo Martinez who continued to show why he’s touted as the next big thing defensively in Spain. The Basque-born defender showed maturity above his years, and got his side’s second goal just after the break, as La Real cruised to a comfortable 5-0 mauling of Osasuna. In midfield, Real Madrid’s Gareth Bale makes his first appearance in our Team of the round after posting another spectacular shift for his side in their derby versus Rayo Vallecano. The former Spurs man continued to prove his doubters wrong, providing 2 crucial assists for Ronaldo and Benzema in Real’s 3-2 win. In central midfield, another Real Sociedad player, Ruben Pardo wins our heart after his superb, near-flawless show for La Real. The 21 year-old was tidy and inspiring from his central midfield role as he distributed the ball around calmly and accurately (90% pass accuracy). Joining Ruben Pardo in midfield is Valencia midfielder Dani Parejo who put up a sterling performance for his side in their 1-0 victory over Getafe in Sunday’s early game. The former Real Madrid man made his side tick with crucial tackles, timely and key passes, shots, and masterful dribbles to wriggle himself out of tight positions. Pabon got the crucial match winning goal to assure the points, but Parejo set the platform for the win. Completing the midfield on the left is Malaga man Eliseu after his goal and assist in Malaga’s end-to-end affair against struggling Real Betis. Real Madrid’s Cristiano Ronaldo continued his unstoppable run of form in week twelve, scoring a brace to help his side to a 3-2 win over bottom club Rayo Vallecano. 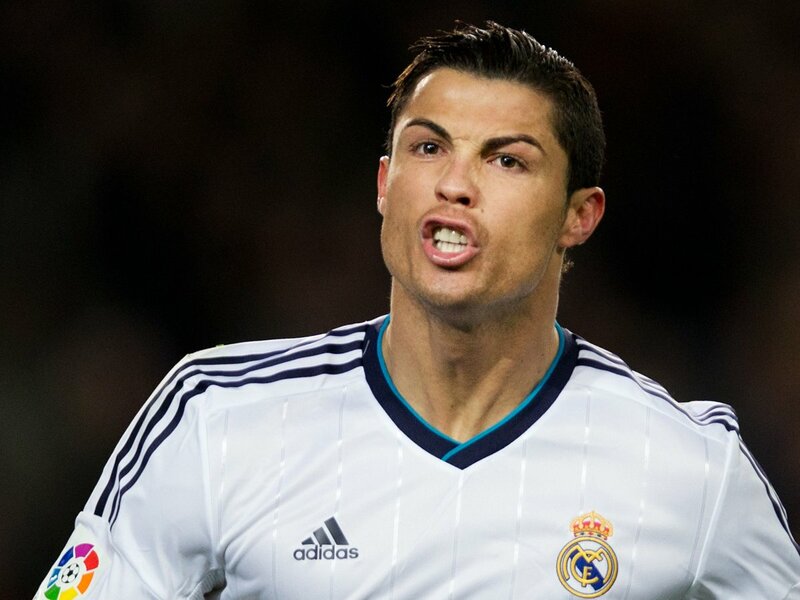 Ronaldo was his usual tormenting self all through the match, always proving a deadly threat to neighbours Rayo Vallecano. Granada man Piti makes a surprise appearance in our Team of the Round, after he changed what already looked like a point to maximum points for Granada away at Levante. Piti, who started on the bench, showed quality, composure and class to hit home a free kick in the dying embers of the game. Rounding up our Team of the week is the only man who ended up on the losing side in our team-Jonathan Viera. The Rayo Vallecano striker always looked the man who could draw Rayo level after trailing 3-0 in the first half. Viera had the pleasure of pulling two back, both from the penalty spot.